Two years ago, Markos Scheer was sitting pretty. He had a comfortable job working as an attorney at the Williams, Kastner & Gibbs law firm, representing seafood companies and fishermen that operated from California to the Bering Sea. His family was living quite happily in Seattle, Washington, U.S.A.
Then he started learning about the potential of mariculture in Alaska. Now, Scheer is the CEO of Premium Aquatics, which just received a lease from the state of Alaska on 1 April to open a 127-acre kelp and shellfish farm in Doyle Bay, off Prince of Wales Island, near Craig, Alaska. “I believe that this is a transformational moment and advancement of the Alaska mariculture industry, which has a great future for sustainable, renewable, and non-extraction based economic development for coastal Alaska and Alaskans,” he said. 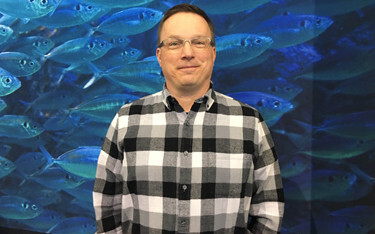 In an interview with SeafoodSource, Scheer said that after getting increasingly interested in mariculture as a board member of the Alaska Fisheries Development Foundation, which helped to launch the Alaska Mariculture Initiative in 2013, he felt a calling to get more personally involved in the industry. In a 2014 concept paper, the Alaska Mariculture Initiative concluded the mariculture sector in Alaska could become a USD 1 billion (EUR 892.9 million) industry within the next 30 years. Scheer said by delving deep into the data contained in the report, he saw “incredible potential” waiting to be unlocked. Seaweed and bivalve aquaculture – the proposed usage for Premium Aquatics’ farm – is also one of the most sustainable types of seafood production, Scheer said.